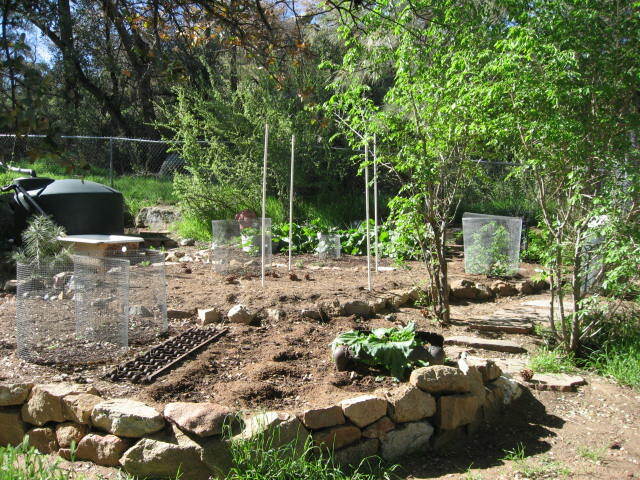 My husband and I brought in eight tons of dirt to make a garden space in our back yard last year. 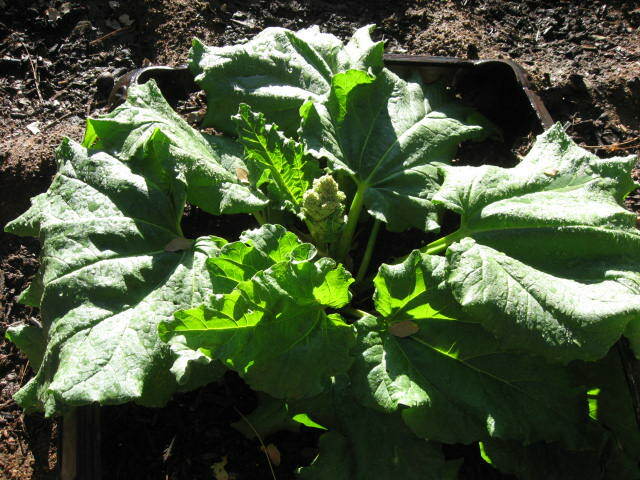 I’d been wanting to grow rhubarb for quite awhile, but just couldn’t find any…so you can imagine my delight last July when my husband and I were in Williams, AZ, and found a tiny nursery with ONE more rhubarb plant. Unfortunately, it had been left for dead, sitting waterlogged in a murky pot of water, under a table, with lots of dead leaves and stinky soil. I literally had to coerce the owner into letting me buy this little plant that was so fervently clinging to life. I named him Rupert – not something I normally do – but I thought he needed all the help he could get. But first, Rupert had to accompany us for a weekend at La Posada in Winslow before we could even attempt to save his life. Once we got home, we gave him a chunk of soil he could call his own…and he exploded! This is Rupert at two years old. His exuberance brings me joy. ~ by Dawn Elliott on April 21, 2011. How exciting! There’s nothing like having your own garden. 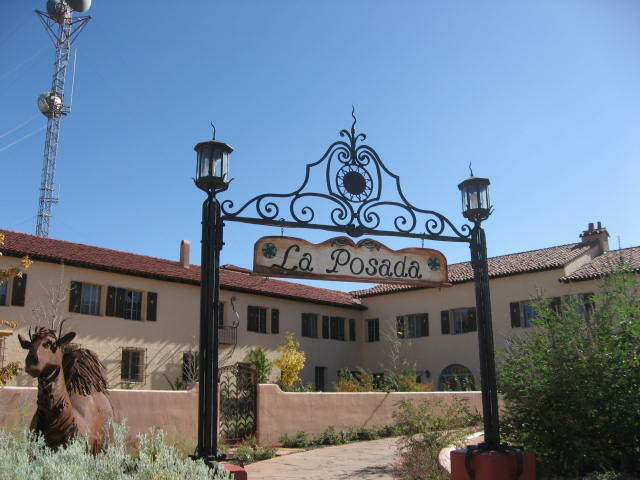 Before long you’ll be planting tomatoes, onions, chili’s…I mean the list is endless:)) Good for you and how fun, a weekend at La Posada. Happy Easter. Rupert the Rhubarb plant fabulous; he’s so robust and strong looking. Surprise for me too – I didn’t know rhubarb was a perenial. Rhubarb reminds me of my grandparent’s farm in Illinois, a long plot of this grew,along the country road, it came up every year, we just expected it to be there. Oh rhubarb pie and crisp. What will you make with yours? I followed you over from “Share the Joy Thursday”. How exciting that Rupert brings you joy. Your post brought me joy.